Kuala Lumpur, Malaysia – While he was prime minister, Najib Razak was often accused of being woefully out of touch with ordinary citizens' lives. Every moment is shared on his social media accounts and captioned with the slogan: What shame my boss? (What's there to be ashamed about, boss?). There's even a range of t-shirts. MDB to fund anything from luxury apartments to expensive jewellery – and even the Hollywood film, Wolf of Wall Street. Some of the money from the sovereign wealth fund, which Najib set up in 2009, is alleged to have ended up in the former prime minister's personal bank account. "It's an contrast from before the election. "Ignorance and vendetta"
The scale of the corruption at 1MDB was one of the reasons for May 2018's election shock, which propelled the opposition Pakatan Harapan into government – the first defeat for Najib's party, the United Malays National Organization (UMNO) and its Barisan Nasional coalition in six decades. Malaysians watched agog last year as the police wheeled out shopping trolleys laden with desig ner handbags, bags of cash and expensive jewellery from properties linked to Najib and his family. Investigators later revealed the haul was worth as much as $ 273m. It took 22 people, six counting machines and three days to count all the cash, which came in 26 different currencies. In an interview with Al Jazeera's 101 East program last year, he said he was not aware of what was going on at the fund even though, as the country's prime minister, he chaired 1MDB's board of advisers and, as its finance minister, was authorized to sign off on its major financial transactions. "Najib's defense and strategy will mainly be ignorance and vendetta , "said Asrul Hadi Abdullah Sani, a political analyst in Kuala Lumpur. "It will be very difficult for him to argue otherwise." 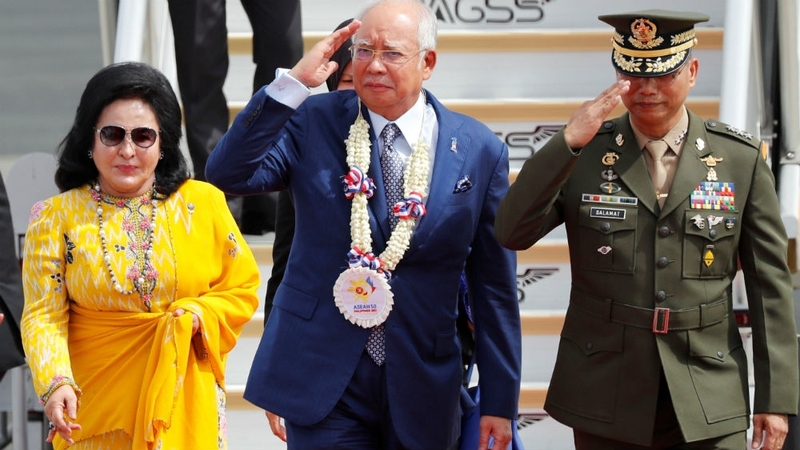 Born in July 1953 in the sleepy rural town of Kuala Lipis when Malaysia was still Malaya and a British colony, Najib was the first child of Abdul Razak Hussein, the man who would go on to become independent Malaysia's second prime minister. His uncle would be the third. Like many children of the country's elite, then and now, he was sent overseas as a teenager, first attending Malvern College – one of Britain's most expensive private schools – and later doing a degree in industrial economics at University of Nottingham. "He came into politics at a very young age – he did quite well as a chief minister even though he was the youngest [and] many people really liked him, "said Saifuddin Abdullah, who worked alongside Najib in UMNO and government before resigning from the party in 2015.
" You can easily like him. ver "Well, this is someone who has been in politics since they were 23, "said Oh Ei Sun, a political analyst who worked with Najib when he first became prime minister. "So there is a sense of entitlement." After stints as education minister and defense minister, Najib became deputy prime minister in 2004. He took the top job five years later, vowing to build an economically and politically dynamic Malaysia, and double per capita income to $ 15,000 by 2020. For Saifuddin, i t was the promise of transformation that caught his attention. "He seemed to be saying all the right things," he told Al Jazeera. 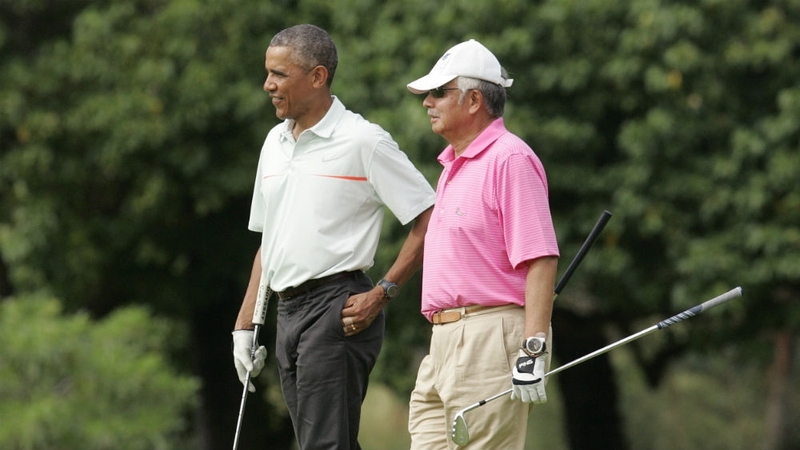 Najib's urbane manner made him popular on the international stage, and he and Rosmah made frequent foreign trips – rubbing shoulders with world leaders at the United Nations General Assembly, cosying up to tech titans such as China's Jack Ma, and playing golf with ex-US President Barack Obama. Domestically, however, support for the long-reigning Barisan continued to fall. In the 2013 election, the coalition lost the popular vote for the first time, although the winner-take-it-all voting system magnified by the disproportionate influence of its rural heartlands helped Barisan stay in office. While the reform program stalled , a goods-and-services tax further undermined support for Najib's government – but he was about to face with an even more serious challenge to his authority. But suspicions about the fund's investment strategy began to emerge, with critics pointing to ballooning debt and asking questions about the fat e of funds raised from earlier bond issues. The Edge, a local business publication that had reported extensively on 1MDB, was suspended for three months, while access to Sarawak Report and other critical sources was blocked. 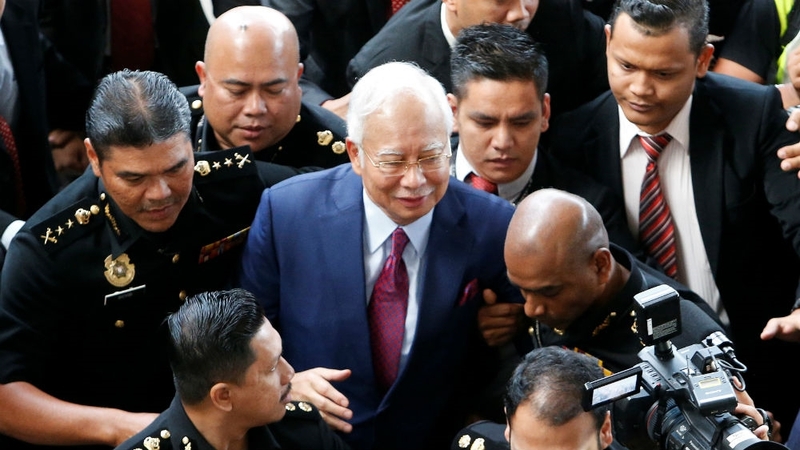 Opposition politicians who had raised concerns about 1MDB found themselves prevented from leaving the country and c ritics found themselves facing charges under a sedition law Najib had previously promised to repeal. "His behavior fits with that broad pattern where you consolidate power at the expense of the ruling elite, "said Lee Morgenbesser, an expert on authoritarian governments at Australia's Griffith University. "Then he had this corruption scandal that left him little room for manoeuvre." "There was progress in country, "Najib said of his years in power. "There was more wealth in the country when I left, so I'm proud of the record that I achieved as prime minister." "Najib's legacy will be the historic loss of Barisan Nasional," Asrul Hadi said. "He can not escape that no matter what he says on social media platforms.Subjectly for Tun Abdul Razak Hussein, the name Razak will be associated with Najib and 1MDB for generations to come."